Some will offer you a package deal or discount on their services to make sure you don’t go a dangerous DIY route. Others may offer minimal color coverage to keep the cost within your budget. When you can’t afford to pay a professional colorist and your hairstylist is unable or unwilling to help you do your color at home, you can look into local cosmetology schools. Many schools offer a full range of color services which are provided by only the most advanced students and fully supervised by a teacher or senior staff member. 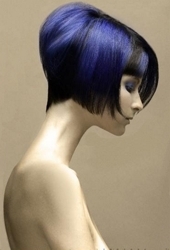 Another options often overlooked is to become a hair color model for cosmo student’s or high end salons. Granted, this is a more risky option, but it offers discounted hair color services and the possibility of making a long term connection with a new salon or colorist. Regardless whether you get professional hair color advice from your hair stylist, go to a cosmetology school or serve as a hair color model, arm yourself with the best color know-how. Understand whether you should opt for permanent, semi-perm or temporary rinse-out hair color. If covering stubborn grey is your goal, permanent color is best. Ditto if you want rich, vibrant color with lots of shimmer and shine. Remember, permanent color permanently alters your base color regardless whether it is first lifted with bleach or applied to your existing base. Semi-perm color may not cover resistant gray and it only deposits color pigment on the top of the cuticle. Which means it fades away after 18-24 shampoo treatments depending on whether you use hot water and the type of shampoo you utilize. Always known as demi-perm will enhance existing colors and can help to blend grays. If you have more than 25% gray hair permanent hair color is the only way to go for long term full coverage. Once you’ve figured out the best type of hair color to embrace, make sure you take your time selecting the best color to complement your skin and eye tone. Avoid selecting a hair color which might bring out orange, yellow or sallowness in your skin. Determine whether your skin is warm with dominant tones of peach, olive or gold or cool with shades of pink or red. Always utilize your skin tone to figure out which hair shade complements you best. Remember that you will always get the best look if you stay close to your natural hair color. If your skin is cool opt for warm ash or neutral hair colors which will contrast the pink tones in your skin. Great hues include champagne and beige blonde chocolate and espresso brunettes and auburn red. If your skin is warm opt for gold or red hair colors which will help cool down your skin tone. 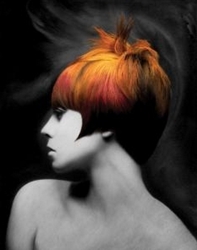 Great hues includes honey blonde, strawberry, copper, golden brown, rich chestnut and mahogany. Ultimately the best option when coloring your hair is to speak to a professional colorist or hairstylist for advice. Determine if you can work with them to meet your financial and/or other challenges. If you can’t work directly or indirectly with your professional colorist consider other options such as a cosmetology school or serving as a hair color model. When all else fails, do your research in order to select the best shade for your skin and eye tones. Take your time, go slow and head for the drugstore hair color aisles. Another option is using a custom blended coloring system, which has professional colorists that will find your most flattering shade. DIY Home Haircolor Perils To Consider Fergie Haircolor How To Avoiding At Home Haircolor Disaster Redken’s Fall 2009 & Winter 2010 Haircolor Forecast Haircolor Secrets – Bumping Up The Color Or Cleansing The Color Palette? This entry was posted on Monday, May 14th, 2012 at 3:41 pm	and is filed under Hair Color. You can follow any responses to this entry through the RSS 2.0 feed. Both comments and pings are currently closed.